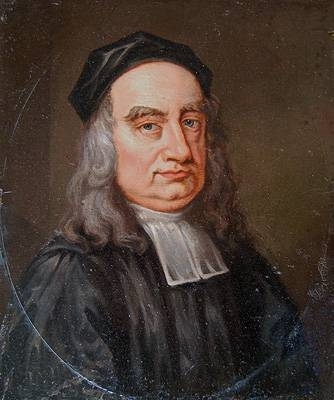 Irish Protestant clergyman and satirist Jonathan Swift publishes Gulliver's Travels anonymously in 1726. The four-part novel relates ship captain Lemuel Gulliver's voyages to fanciful countries such as Lilliput and Brobdingnag, where he meets both tiny and giant inhabitants. 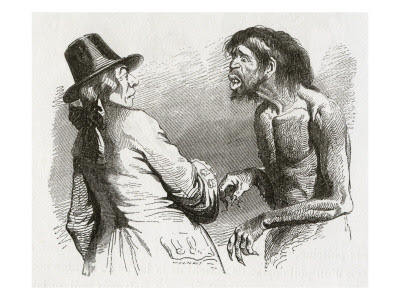 The work's satirical attacks on English politicians and social practices, as well as its coarse descriptions of bodily functions, provoke much comment and controversy among the reading public. Even the first publisher of the book fears that it is too critical of English society and expurgates the text slightly, over Swift's objections. The first printing sells out in a week, and the book is never thereafter out of print. However, Gulliver's Travels is often published in expurgated versions, both in England and abroad. In the 19th century, Victorian critics charge that Swift's view of human nature is too pessimistic. Assume that the bickering noblemen and petty officials of the courts of Lilliput are real English statesmen (and a real English king) of the 18th century. The six-inch-high midgets are the "moral midgets"in the Court and Parliament of Swift's day. 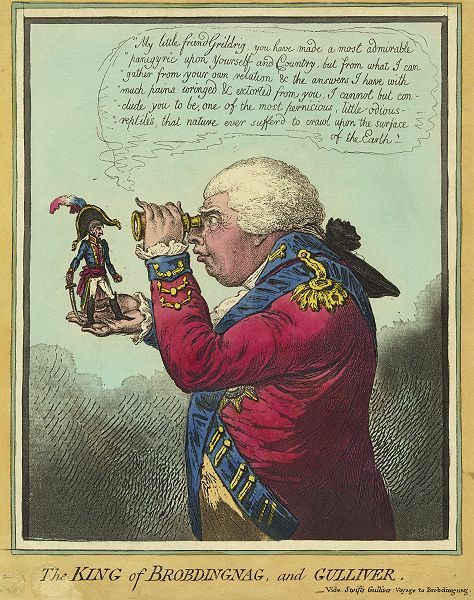 In Lilliput, Swift portrays them as being only six inches tall because this is a wonderful way to trivialize the significance of their wars, their political jousting, their endless infighting and backbiting over honors and awards. But Swift believes Gulliver, who himself is a product of that kind of society, is incapable of moral perfection. In other words, there's a higher standard of moral behavior that Gulliver himself can't understand because he's never seen it. That standard is represented by the Brobdingnagians. Notice that they aren't merely big people who behave just like Englishmen. How are they different? Well, for starters, they have no war. They don't understand why anyone would consider gunpowder an achievement or sign of "progress." They live the Marxist ideal ("from each according to his means, to each according to his need"). But they need no government coercion to enforce this behavior. They make sure everyone has enough to eat because they would suffer themselves if they had to watch anyone go hungry. Like the Eldoradans in Candide, they also have no church authorities, though they all worship God. The most famous line in Gulliver's Travels is actually uttered by the Queen of Brobdingnag, who says "It is plain that the English are the most odious race of vermin on earth." But this line is also funny. If she were exactly right, it wouldn't be funny. In the first and second books, Swift's criticism of English politics is easy to see. And in the third book, Swift's criticism of science and technology is equally easy to spot. It's more difficult than it should be to appreciate in the movie. But that's only because by that time, the movie has long since ceased to be as funny as Swift intended. Even the Struldbruggs, those who seek eternal life, are funny in the book rather than frightening, as they seem in the movie. 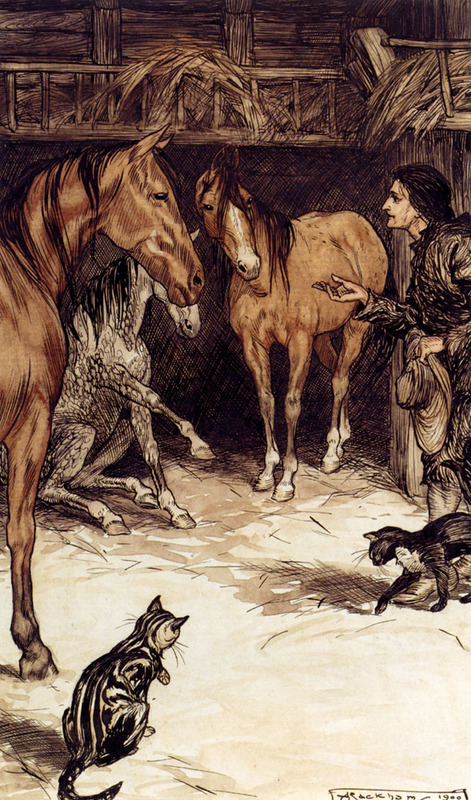 What may be hard to understand is the philosophical horses, whose story represents Swift's criticism of the Enlightenment philosophies of Rationalism and Deism. The Houyhnhnms are super-reasonable. They have all the virtues that the stoics and the Deists advocated. They speak clearly, they act justly, and have simple laws. They do not quarrel or argue, since each knows what is true and right…But they are so reasonable that they have no emotions. They are untroubled by greed, politics, or lust. They act from undifferentiated benevolence. They would never prefer the welfare of one of their own children to the welfare of another Houyhnhnm simply on the basis of kinship. The Houyhnhnms ARE horses; they are not humans. "In contrast to the Houyhnhnms, Swift presents their precise opposite: the Yahoos, creatures who exhibit the essence of sensual human sinfulness. The Yahoos are not merely animals; they are animals who are naturally vicious…The Yahoos represent Mankind depraved. "Midway between the poles of the Houyhnhnms and the Yahoos, Swift places Gulliver. Gulliver is an average man, except that he has become irrational in his regard for reason. "The aspiration to become a horse exposes Gulliver's grave weakness. Gullible and proud, he becomes such a devotee of reason that he cannot accept his fellow men who are less than totally reasonable. He cannot recognize virtue and charity when they exist…Gulliver hates his family because they look and smell like Yahoos. 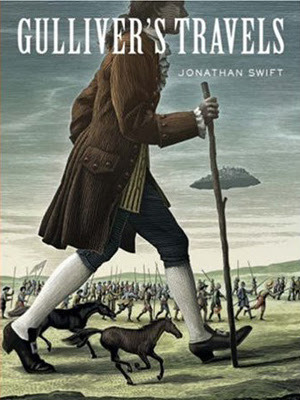 Although Swift intends the book for an adult audience, Gulliver's Travels imaginative storyline and clear writing help make the book a children's classic, generally in abridged editions. To this day, publishers of school versions, even at the college level, struggle with how much of the book may be printed. Gulliver's Travels is perhaps most frequently encountered today in adaptations for film, stage, or television, many of which are aimed toward children and lack large sections of the story and Swift's satirical tone. Hi there, I was just wondering if you could tell me where you found the 'Meet the Yahoo' illustration and who it is by? Many thanks.